One of my life’s dreams, and one of the top things on my bucket list, is to go on safari. I also recently found out through an Ancestry DNA test, more on that later, that I am almost a quarter African…so my dream to go on safari was amplified even more. Now since I haven’t been able to make it to Africa yet, I’m hoping to do so in 2020, I went on search of the closest thing. And it just so happens that the closest thing is located in Northern California’s wine country – in the heart of the Sonoma Valley. For twenty-five years, Safari West has been the ultimate experience for animal lovers, especially if you are located near, or have plans to go to, California. I have always been someone who loves animals and loves nature – after all when I was a child I first wanted to be an entomologist, and then later a marine biologist. I’ve also been very acutely aware of how to be sustainable and continually educate myself in order to make sure this planet is around for generations to come. Safari West definitely ticks all these interest boxes, and even more importantly, down to its core it’s much more than an animal experience. The main mission is to promote conservation through a unique and educational recreational experience and by inspiring people to also be wildlife advocates through helping develop a deeper appreciation for the world’s natural environment. But most importantly Safari West is not just a zoo, it’s a private wildlife preserve spanning 400-acres, home to over 90 unique wildlife species native to Africa. There are a variety of things you can experience on a visit to Safari West: you can go on a 3-hour excursion safari in a canvas covered custom safari vehicle, you can go on a safari walk through the Amani Oasis Aviary and along the habitats for the monkeys, the cheetah, and the flamingos. 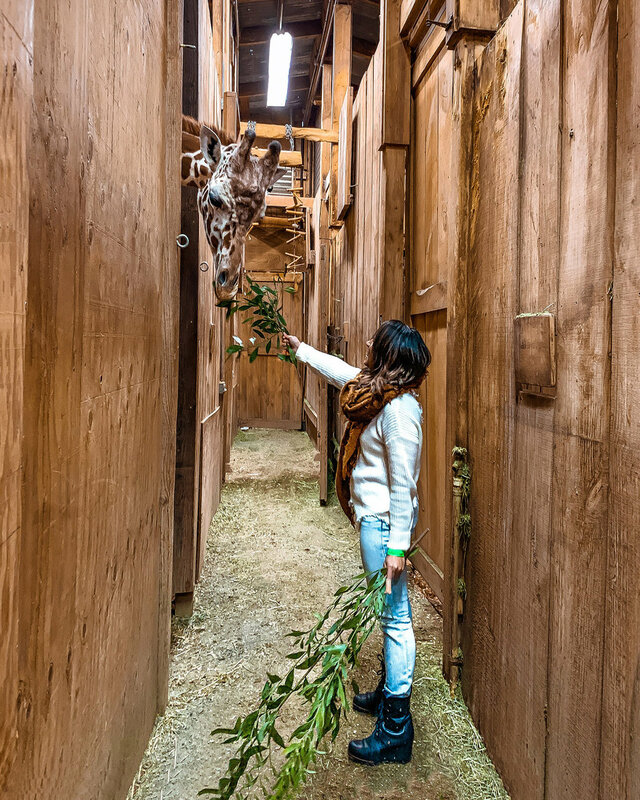 If you want to go behind-the-scenes you can get even closer to the amazing animals that call Safari West home. You can get up close and personal coming face-to-face with a southern white rhinos. You can tag along with a handler and for 30-minutes get so close to Safari West’s cheetahs you can count their spots. So close you can even hear them purr! 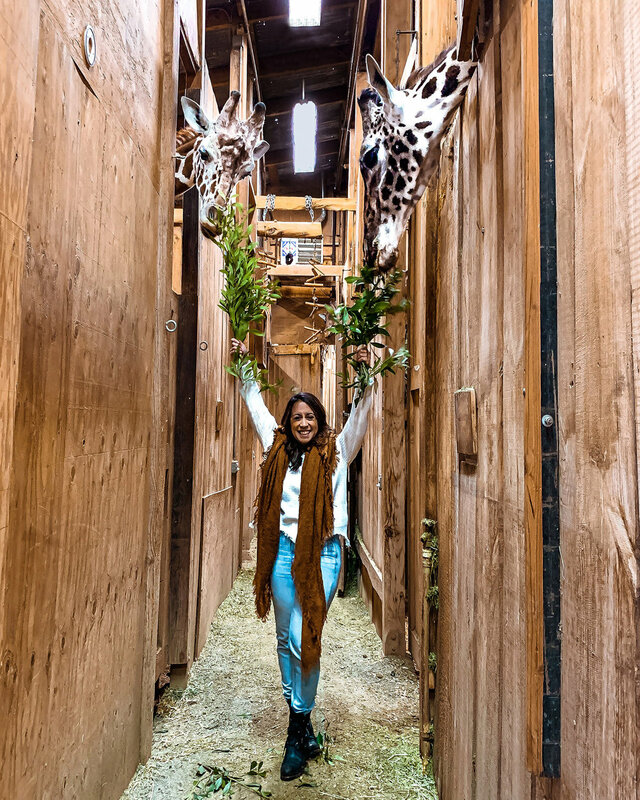 If you want to know what it’s like to be the one responsible for caring for and feeding all of the wildlife that call Safari West home you can become a Keeper for the Day, allowing you to prepare meals, help with feeding, and work directly with the mammals and birds. When you get hungry, because ultimately you are going to, the on-site dining brings the traditional South African braai (barbecue, also pronounced “bry,”) right to your table. And the ultimate, dream experience?! You can SPEND THE NIGHT! Yes, you heard me. You can have the chance to stay overnight in one of their 30 luxurious canvas tents imported directly from Botswana! Each tent has a private viewing deck, an en-suite bathroom, hardwood floors, and the sounds of the Sonoma Serengeti at night as you fall asleep, as as you wake up in the morning! The best ambient sound in my opinion. The overnight experiences can even be amplified even more through their Wine Country package or Gal’s or Guy’s Getaway package. 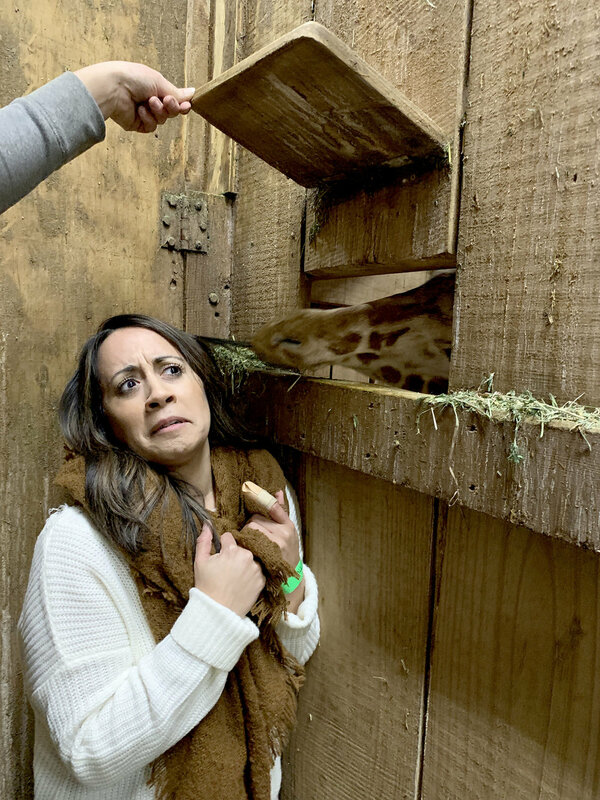 Fun Fact: All the proceeds from the BTS encounters go directly toward Safari West’s conservation efforts and conservation work around the world! My friend and I visited Safari West during their off season. Which unfortunately for us resulted in not being able to stay overnight (insert ugly cry face), but also made it so that we were the only people (outside of the staff) on site and an amazingly private experience. When we arrived the first part of the property we were able to get a quick tour of were the safari tents (insert even more ugly cry faces haha). They were so awesome! Literally what African safari dreams are made of with amazing views of the property, the perfect size featuring two queen beds, amazing rustic décor (seriously what I want my own place to be decorated like), and the chirps, bellows and light calls of the flamingos and other animals directly outside of the windows which were covered in canvas curtains. After the canvas tent tour, we headed over to the safari vehicles to head out on our 3-hour adventure through the preserve. Because we visited towards the end of winter/beginning of spring, the weather was definitely a crap shoot. It rained a little, it rained a lot, there were some gorgeously sunny pockets, we definitely got it all, and were covered in blankets the entire time. But weather aside, all I can really say about this experience is it was nothing short of amazing! We saw various kinds of caribou, we saw rhinos, wildebeests, ostriches, long horn cattle, water buffalo, warthogs, and giraffe. And that was just on the vehicle ride. Depending on how many animals were out and where they were positioned we sometimes were able to stop to get a better look. The zebras got so close I could have reached out and touched them! Following our vehicle tour we were able to get up close and personal with some of the animals! The flamingos were right across the pathway from the aviary so we stopped by to watch them for a while. After getting our fill of pink and honking sounds we walked into the Amani Oasis Aviary to see all of the wild birds on display. At the front was the resident crane who was raised since it was a young chick and therefore has a special bond with its human caretakers and was completely comfortable following us around. Which to be completely honest, was super cute. The aviary wasn’t the only place for bird watching. There were Guinea Fowl for dayssssss…. just running all over the place. Now if you’re asking yourself what Guinea Fowl are, technically they are native to Africa and rank among the oldest of the gallinaceous (heavy-bodied ground-feeding birds, which include domestic poultry and game birds) birds. But to put it in terms more people would understand, picture a chicken mixed with a quail. They’re small, round, were running around all over the place, and honestly cracked me up. After bird watching we walked along a side path to visit the porcupines, monkeys and cheetahs before making our way over to feed the warthogs. I’ve seen warthogs before but when you are not used to being around them it’s always a slight (hilarious) shock to see these pigs that don’t look anything like the pink pigs we all know and love. All of the Pumbas, as they may be more affectionately known by more people, were more than happy to see us and came running over to the fence at the edge of their paddock. This was probably because we had bagels to feed them, but nonetheless, their lack of “table manners” were charming and warmed my heart. The afternoon ended with the GRAND FINALE – feeding the giraffes!!! I literally died and went to heaven being able to do this. The entire day was absolutely perfect but being that close to giraffes was a dream come true. There were a bounty of acacia branches available for us to feed them and as soon as we had a branch covered in leaves the giraffes started poking their heads out. There were adults and juveniles. We couldn’t touch them, obviously, but received kisses through small openings in their paddocks. And spit from the drooliest of them all landed square on my face (and in my mouth) while I was feeding him! I think in general we were supposed to be there for maybe 20-30 minutes and we definitely ended up spending a good 45+ mins hanging out with them. After all, when you see those huge, cute faces coming at you how could you leave?! • A visit to Safari West will change your perspective of what Northern California can offer you. • The animals that you will meet and see on a visit to Safari West will tug at your heartstrings. • A visit to Safari West will further open your eyes to the magic that are the creatures we share this planet with. • And a visit to Safari West is far more accessible to a majority of the people in North America (whether you have a passport or not) than traveling thousands of miles to Africa. Far be it from me to tell you to not try to at least get to that magical continent south of Europe at least once in your lifetime. Yes, go to Sonoma and experience all of the wine. But also, go to Sonoma and immerse yourself in the Serengeti of The Golden State. This trip was sponsored by the lovely team at Safari West, and I could not have been more grateful for that! As always, all opinions are my own.